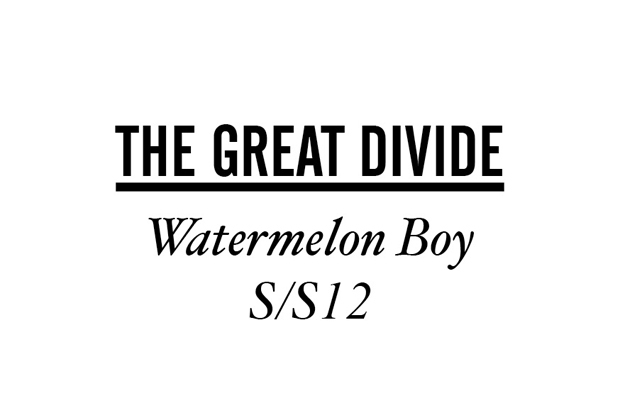 The Great Divide SS12 Lookbook "Watermelon Boy"
London based online retailer The Great Divide present their Spring/Summer 2012 lookbook titled “Watermelon Boy”. 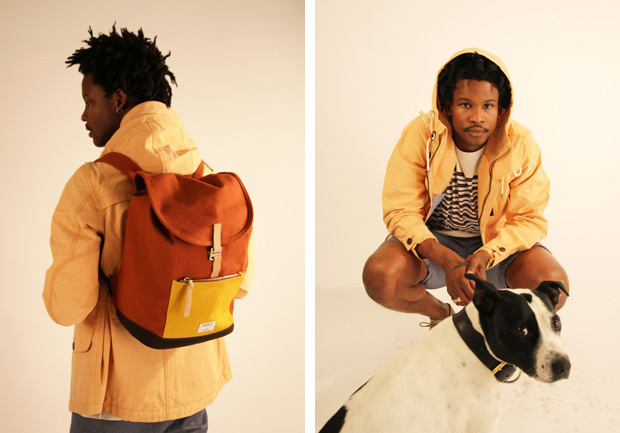 Keeping things short and succinct, The Great Divide present seven well thought out looks in the lookbook. A plain background is given to all the shots, with the focus being on the content rather than setting. 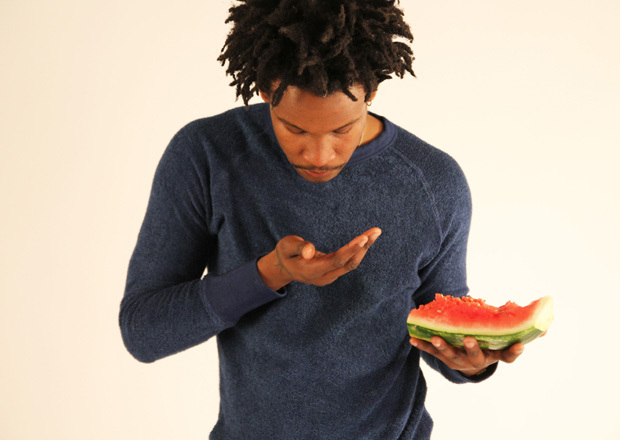 A few props are thrown in for good measure and add a surreal comedic edge to the shoot. 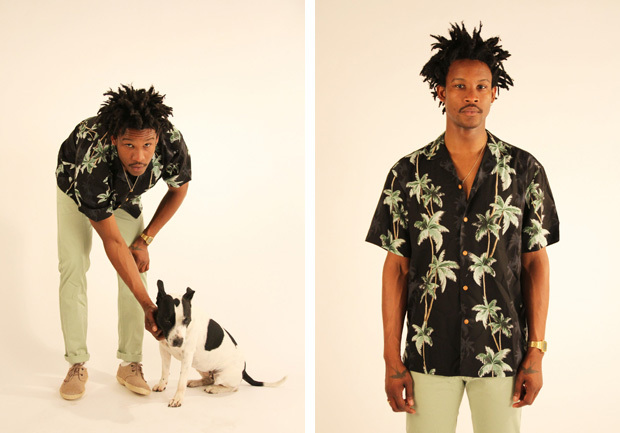 The lookbook features some great product from the likes of Hentsch Man, Paradise Found, Reigning Champ, Vanishing Elephant and Our Legacy. 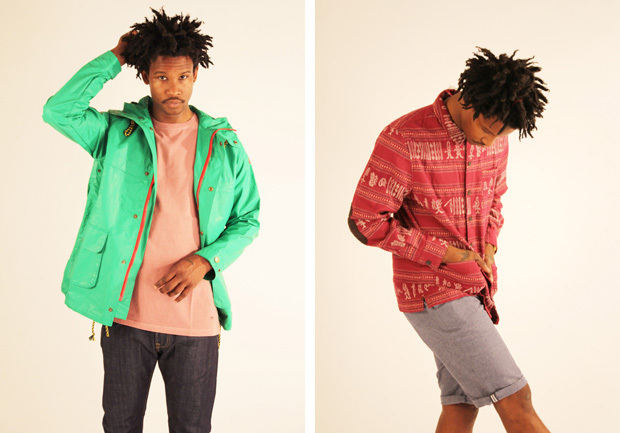 Most of the product featured is available now from The Great Divide and some of it is even in the Summer Sale. Result! Hahahaha Delarge comment is so on point.